From the first time Concorde took to the skies on 2 March 1969 until its final flight on 26 November 2003, the supersonic jet captured the imagination of the public. When Air France and British Airways announced their decision to stop flying Concorde there was a feeling of sadness and disbelief amongst the fans of this beautiful aeroplane around the world. But what of the men who flew her? There were fewer Concorde pilots than US astronauts, but only a handful of them ever had public prominence. 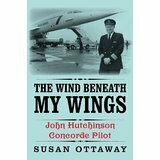 This is the story of one of those better known pilots, John Hutchinson. From his birth in India in the final decade of British rule and his escape to England following the bloody battles that accompanied Partition, to the present day, this is the tale of John Hutchinson’s exciting and sometimes precarious life, featuring near-death experiences and a life-changing personal tragedy. Susan Ottaway was born in Windsor, brought up in Egham and educated at Sir William Perkins's Girls School in nearby Chertsey. The daughter of an aircraft engineer, she has had a lifelong enthusiasm for aeroplanes and books. She worked for four different airlines over a period of 20 years, mainly in the UK but also in Germany and Australia, and wrote her first book, a biography of Wing Commander Guy Gibson VC, before leaving the world of aviation. 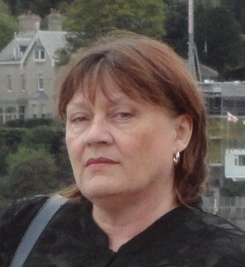 She then worked as a freelance editor and has since written six more books.